Heavy-duty grain leather with, waxed thread and extra riveting for long lasting use. 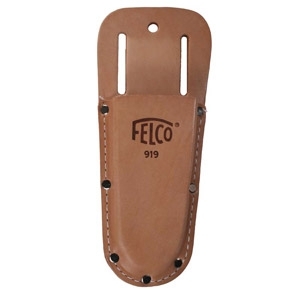 This Felco holster fits all pruning shear makes. Designed to fit on belt only. Also known as the F99.